Washington, D.C. - U.S. Senators Pat Toomey (R-Pa.) and Mark Warner (D-Va.) have introduced legislation to restore Congress's constitutional trade responsibilities and abolish the costly and burdensome taxes on imported steel and aluminum paid by American consumers and workers. Industry leaders across the country are strongly supporting this bipartisan effort. 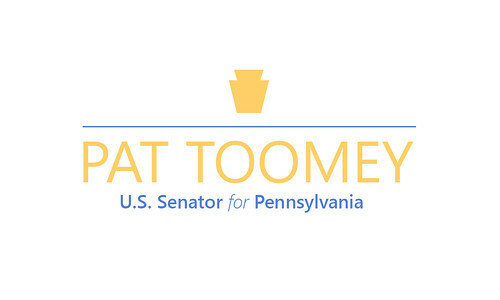 "Business Roundtable supports the Bicameral Congressional Trade Authority Act, and commends Senators Pat Toomey, Mark Warner, Ben Sasse and Maggie Hassan, as well as Representatives Ron Kind, Mike Gallagher, Jimmy Panetta and Darin LaHood for their leadership introducing this legislation. Raising tariffs through misuse of Section 232 of the Trade Expansion Act of 1962 - and the accompanying retaliatory tariffs on American exports - impose significant costs on U.S. consumers and businesses. While global steel and aluminum overcapacity issues should be addressed, tariffs on these metal imports do more harm than good to the U.S. economy and should be removed swiftly. This bill appropriately reasserts Congress' constitutional authority to decide when to raise tariffs to protect national security and prevents unilateral tariff increases that put America's competitiveness at risk" said Business Roundtable. "PPI welcomes the introduction of the Congressional Trade Authority Act by Representatives Ron Kind (D-WI) and Michael Gallagher (R-WI) and Senators Pat Toomey (R-PA) and Mark Warner (D-VA). We urge Congress to enact this responsible and balanced legislation," said Ed Gerwin, Senior Fellow for Trade and Global Opportunity at the Progressive Policy Institute (PPI). "CAMMU strongly supports the Bicameral Trade Authority Act of 2019 as it would help ensure that tariffs are only imposed under Section 232 for truly national security purposes. Importantly, the legislation could potentially revoke the Section 232 steel and aluminum tariffs that continue to cause damage to millions of workers in the U.S. manufacturing sector, said Paul Nathanson, spokesperson for the Coalition of American Metal Manufacturers and Users (CAMMU). "The bipartisan "Bicameral Congressional Trade Authority Act," introduced by Senators Pat Toomey and Mark Warner and Representatives Ron Kind and Mike Gallagher would restore the proper constitutional role of Congress in tariff policy by requiring Congressional approval of tariffs designated under Section 232 of the Trade Expansion Act of 1962, said Neil Bradley, Executive Vice President and Chief Policy Officer at the Chamber of Commerce. See a full list of endorsers here.